St. Stephens College Admission 2018 - Cut Off Released! Home > Entranceexam > St. Stephens College Admission 2018 - Cut Off List Available Now! St. Stephens College Admission 2018 - Cut off list available now! St. Stephens College Admission 2018 - St. Stephens College is affiliated to the Delhi University. This university offers the admission through a centralised process that means the candidates first have to fill the DU Application Form and then the online form of St. Stephens where they have to provide their form number and Email Id used at the time of admission. Delhi University centralised registration process has started from 15 May 2018. The candidates can fill the application form and make the payment of the application fee at the University of Delhi Admission portal. The application form of St. Stephen College is now available to fill. The college has released the complete brochure. While registration, the candidates have to provide their form number and email id. St. Stephen first cut off list is now available for an interview and the candidates can check the same by following the link given on this page. This page has the details about St. Stephens College Admission 2018. St Stephen College was established in 1881 by The Cambridge Mission to India. Nationwide Surveys by India Today and The Week have ranked the college amongst the best colleges in India for Arts and Science. Latest Update - St. Stephen first cut off list has been released on 11 June 2018. The same can be obtained by following the link given below. Nationality: The Applicant must be a national of India. The National from other countries can also apply but before taking part in the admission process they need to register themselves with the concerned authorities. Qualifying Examination: The applicant must have cleared class 12 or equivalent examination from a recognised board or University. The centralised registration process of Delhi University 2018 has started from 15 May 2018. The candidates can fill the application form and make the payment of the application fee at the University of Delhi Admission portal. However, the registration process of St. Stephen will start from 21 May 2018 where the candidates have to provide their form number and email id. Physically Disabled candidates are facilitated with options to submit their disability certificate offline after taking a printout of the Acknowledgement Slip. Fill the DU Online registration from through centralised process of admission by following the link given on this page. Go to the St. Stephen College portal and enter the registration form number and the registered email in the application section of the college application portal. At last, the candidates have to make the payment of the application fee in order to register for the St. Stephen College admission portal. Once the form has been submitted, next step will be payment of the application fee. The payment can be done either online or offline method. Candidates belonging to PwD candidates need not make any payment. The complete information about the fee payment is given below. Online Payment: The candidates can make the payment of the application fee using Credit card/ Debit card or Net Banking. Offline Payment: Once the submission of the form is done, the candidate can select the offline method for making the payment. Offline payment can be done at any branch of SBI using the Challan Form, the printout of the SBI Challan form can be taken after the submission of the application form. Payment can be done after one day of submitting the application form at any branch of State Bank of India. The total application for the St. Stephen's College is given in the table below. The application fee for the course, Residence application form and sports admission form is given. The candidates are suggested to go through the table given below. For UG admission, the college will primarily base admission on marks scored in Class 12 and will also conduct its own aptitude test which will have a weightage of 5% in the admission process. The selection process of the college will be based on the marks of the candidates in class 12, marks obtained in Aptitude Test as well as the Interview. There is a total of 410 seats to be filled across 10 UG courses. Out of the total seats, 50% of the seats are reserved for Christian Candidates. STAGE 1 (Creation of Cut off List): Based on the marks of the candidates calculated on the basis of Best Four Subjects selected by the candidates, merit list of the candidates will be prepared and the least marks in the merit list will be treated as Cut off Marks. STAGE 2 (Aptitude Test): The shortlisted candidates from the merit list will be called for Aptitude Test. Candidates belonging to PwD category are exempted from Aptitude Test. The duration of the test will be 30 minutes and the schedule of the test will be notified to the candidates soon. General Awareness and Sense of Values. The printout of the interview call letter. Certificate of the date of birth of the applicant. Relevant Category certificate to support the reservation claims. B.Sc. (Hons.) in Chemistry: The test will have questions based on the eleventh and twelfth standard Chemistry syllabus. It will comprise Multiple Choice Questions from all branches of Chemistry, namely, Inorganic, Organic and Physical Chemistry and will be of half an hour duration. This test will examine the understanding of the fundamentals of the discipline and the mathematical ability of the candidate. 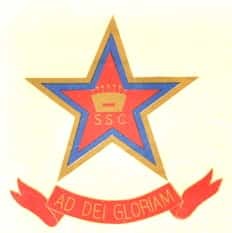 B.Sc. (Hons.) in Physics: The test will have questions based on the eleventh and twelfth standard Physics syllabus. B.Sc. (Hons.) in Mathematics: The syllabus for the written test broadly involves topics such as Calculus; Coordinate Geometry; Probability; Matrices and Determinants; Polynomials; Sets, Functions and their Graphs; Arithmetic Aptitude and Logical Reasoning. Candidates will be tested for their conceptual understanding of the above-mentioned topics. B. Sc. Programme: The written test will have questions based on the eleventh and twelfth standard syllabus. Applicants for B.Sc. (Programme) with Chemistry will be asked questions on Physics, Mathematics and Chemistry. Students seeking admission to B.Sc. (Programme) with Computer Science will have the option of replying to either Computer Science or Chemistry based questions, besides Physics and Mathematics questions. The test will examine the conceptual understanding and problem-solving ability. B.A. (Hons.) in Economics: The test will have questions based on the eleventh and twelfth standard Mathematics syllabus. It will focus on the following areas: Sets, functions and graphs; calculus; logical reasoning; matrices and determinants; probability and elementary statistics; and maximisation and minimization techniques. B.A. (Hons.) in English: The test seeks to gauge the candidate’s writing, analytical and critical skills. B.A. (Hons.) in Philosophy: Applicants can expect a test of their reading writing and thinking abilities. No questions specific to any discipline will be asked. B.A. (Hons.) in History: The comprehension abilities and writing skills of students will be tested in the aptitude test. Candidates are expected to answer a few questions based on a particular text or passage in half an hour. A sense of history will help in writing the test. B.A. (Hons.) in Sanskrit: In the aptitude test, students are tested on their motivation and knowledge of Sanskrit language (Sanskrit grammar, Class X level). Section – A: There would be five objective type/multiple choice based questions on current affairs, each carrying half a mark, this section would carry 2.5 marks. Section – B: Candidates would be expected to write a small paragraph (not more than 200 words) on a topic concerning current social, political or economic issues in India. This section would carry 2.5 marks. The admission in the St. Stephen's College is done on the basis of the scores obtained by the candidates in Class 12 examination. For UG admission, the college will primarily base admission on marks scored in Class 12 and will also conduct its own aptitude test which will have a weightage of 5% in the admission process. For B.A. (Hons) in Economics: Cut off marks will be decided by combined percentage marks in the Best Four Subjects. But candidates must secure minimum qualifying marks in Mathematics. Although Mathematics can be excluded while calculation of Best Four Subjects. For B.A. (Hons) in English: Aggregate percentage of marks in Best Four Subjects will be the basis of cut off marks and the candidate should have secured minimum qualifying marks in English Core/Functional English or Elective English/Literature in English. Preference will be given to candidates who have studied Elective English/Literature in English. For B.Sc Computer Science: Computer Science/Informatics Practices or Chemistry in addition to Physics and Mathematics. Those candidates who have studied both chemistry and Computer Science can select the subjects to calculate their Cut off Marks. For B.A. (Hons) in History, Philosophy, Sanskrit, and B.A. Programme: Aggregate percentage of marks in Best Four Subjects will be the basis of cut off marks. For B.Sc. (Hons) Mathematics: The student should have studied Mathematics in his class 12. Those students who studied only business mathematics are not eligible for admission. Best Four Subjects should include Mathematics along with a language. For B.Sc (Hons): Marks in Physics, Chemistry and B.Sc Programme with Chemistry: Physics, Chemistry, and Mathematics. All the 3 Subjects will be given equal weightage in the calculation of Cut off Marks. Subjects not to be included in Best Four Subjects: The following subjects cannot be included in the calculation of the Best Four Subjects: Environmental Education (ISC), Fine Arts, Graphic Design, Painting, Dance, Music, Physical Education, Home Science, Engineering Drawing and all other vocational subjects. The St. Stephen’s College has announced Sports trial schedule for the candidates seeks admission under sports quota. Schedule for sports certificate verification for the year 2018 -19 has started from 11 June 2018. However, the sports trial of St. Stephen College will start from 15 June 2018. The candidates can obtain the complete information regarding the certification verification and the sports trial schedule by following the link given below. St. Stephen's 2018-19 Cut off - Available Now!